Niagara County’s Chamber: Advocacy. Opportunity. Choice. 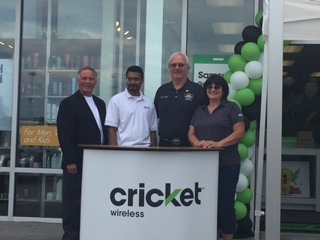 The Chamber would like to Congratulate Cricket Wireless on their NEW location! Located at 5843 Transit Road, in Lockport. Thank you to all that participated in the Ribbon Cutting Ceremony this afternoon. 2019 Chamber Honors Annual Dinner Honorees Announced!